Ever wonder how people truly excel? Linda said yes to everything that came her way. She took care of her kids problems. She took on every project her boss asked her, too. Plus, she volunteered for three charities. She felt the weight of all this on her shoulders and developed severe neck and shoulder pain. This all left her wiped out. Something had to change. Linda couldn’t take it anymore. She lost herself. Highly successful people know when to say “no”. And, they say “no” 90% of the time. Do you have a decision matrix for what to say “yes” to and what to say “no” to? Too often, we say yes without any careful thought to the consequences. Yes, we love to help others. But, much of the time we sacrifice ourselves in the process. Then, we enable others to not learn how to do it for themselves. In the next year, where can you say “no” more often so you can say “yes” to the opportunities that light up your soul. I challenge you to come up with a decision matrix. Your time and energy is the most precious resource you have. Saying “No” protects your time and energy. P.S. When you’re ready, here are two ways to get clear on your priority, grow exponentially, unlock your capabilities, and move towards a more satisfied and fulfilled life. JOIN our Community and connect with growth-minded leaders who support each other to expand your capabilities and pursue your dreams. It’s our new Facebook community where high-achievers gain time and energy back to focus on what’s truly important. – Click here. APPLY to work with me privately and achieve more faster. If you’re ready to go deep, explore your full potential, and gain the personal freedom you crave, let’s schedule a one-one call to see if we’re a good fit. Reply to this email with title. Private. I want to see you thrive. Ever feel that you don’t get the results you want? You put more effort in with no return on your time and energy. Year after year, Frank kept working harder for his next promotion. He worked more hours and still got passed up. He sacrificed time with his family to get the promotion to give his family more. Frank was annoyed. Getting passed up again for a promotion ripped his heart out. He couldn’t figure out what was going on. Frank was dumbfounded and shocked. He had no clue. Frank sighed. He agreed. He was unaware of the other expectations. Joan said, “all you had to do was ask.” He agreed again. I’m issuing you a challenge. 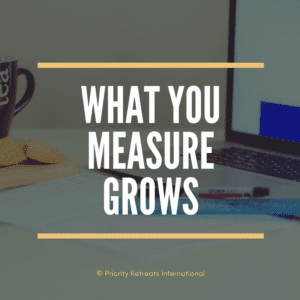 For 2018, evaluate your successes and where you feel short against the results you wanted. Did where you spend your time and energy give you the results you were looking for? If not, it’s time to switch up what you do for 2019. Do you want to do this exercise together? No strings attached. Reply to this email and we’ll set-up 30 minutes to do exactly this. Ever had that dream but didn’t know how to make it happen? You did some research but never took those bold steps. Why do you leave your deepest priorities sitting on the side of the road waiting to be run over? It’s time to take it back. There’s exactly three months left in 2018. It’s time to make this the best year of your life. No matter what has already happened – You have the choice to chart the direction you want to go. You are the captain of your ship. No one else! It’s time to bunker down and get the work done. What seeds did you plant earlier this year that need some nourishment, love, and attention? Your dreams and desires require constant ongoing attention through daily action. One hour a day for the rest of the year is over 90 hours. What can you move forward in those 90 hours? Your health? A new skill to learn? A project to bring to completion. What weeds need to be removed so it can thrive and grow? Fall is all about clearing out your garden. Pulling up the overgrowth and giving the plants – your dreams and desires – the room to grow. What distractions can you eliminate? The only difference between a dream and a goal is a deadline. It’s time to stop wasting your precious time and get to work on your priorities. The world needs you, your unique gifts, your talents. I want you to play big. I want you to play all out for the rest of the year! Go get it! Linda’s jaw dropped, her stomach rumbled, and her heart began to race. How am I supposed to do this, she thought? Linda was unsatisfied at work. She was bored and wanted to take on new initiatives, yet she didn’t have the skills for it. She craved that big step forward. Linda led a few small teams but never an international team with a $10 million+ budget. She discussed the role she truly wanted to play with her boss who eagerly had a project waiting to be led. Within minutes, she became the Team Lead to build a new technology platform for a big client. What skills do I need to keep the team engaged and on track? What resources does the team need? Who has successfully walked this path before and can mentor me? All it took was an hour of planning to figure this all out. She started making phone calls and setting this in motion. Assess the gaps between where you are and where you want to be. Plan for and fill your gaps to reach the next stage of growth in your career, life and relationships. This is the key to growth. Plan for what you want to grow into. Will you schedule an hour this week to do this? 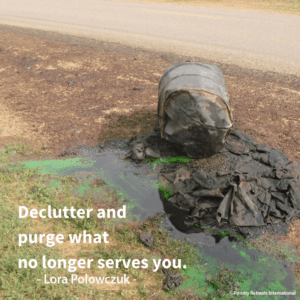 Do You Waste Your Most Precious Resource? Dahlia spent Earth Day cleaning up garbage in a local park. She wondered why people would throw their trash into a beautiful garden and park. Yet, she also realized how this paralleled in her own life. Dahlia has big dreams and she wondered why she wasn’t accomplishing them faster. She got still and sat on a park bench to think. Where was she wasting her time? Dahlia spent too much time complaining about a toxic relationship she was in. She decided it was time to end it. She recognized that she walked into work with a bad attitude and dreading the day. She decided that every morning she would wish an employee a good day and engage in positive conversation. Dahlia noticed that she spent too much time watching YouTube videos, and going down the rabbit hole of the internet. Instead, she decided to reach out to a friend each day and make real connections. How do you spend your time? Wallowing in distraction or a bad attitude or spending it on what’s most important to you? 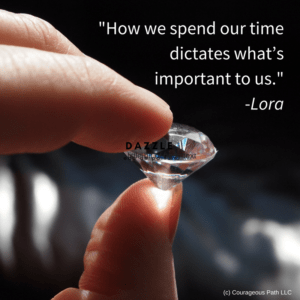 What we give our time to dictates what’s important to us. 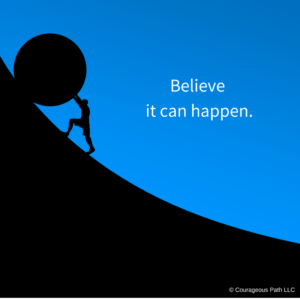 What Would Happen If You Dreamed Bigger? Have you ever seen the video of the feeble elderly woman who lifts an entire car when her grandson gets hit by a car? It’s unbelievable! What did it take for a feeble woman to lift a one ton car? Belief she could do it. Too often our own mind gets in the way. We fail once and never want to do it again. We’re afraid of what people may say. We hesitate to move at all even though we don’t enjoy where we are. We let negative past situations enjoy the amazingness of the present moment. If you knew you would not fail, what project would you take on? What dream would you go after? Thomas Edison had 1000 unsuccessful attempts before creating the first light bulb. How would our world be different today without this invention? An Olympic athlete believes they will cross the finish line first. They imagine themselves standing on top of the podium receiving the medal. They imagine if they trip, how they will bounce back and run faster. Believe it can happen. That’s the first step. Then, take small steps each day towards accomplishing this goal. The biggest part to remember is to believe you can figure out how to get there. You are unbelievable. I believe in you. Do you? Do you thrive in chaos? Or, do you feel your life is a constant state of chaos? If you thrive on chaos, you’re tied to the result. It’s the rush from closing a deal, negotiating that big contract, and operating under pressure to get things done. A deadline gives us the necessity to do something in a certain timeframe. We’re willing to take care of it at all costs. It’s exciting. It can be fun. The part that’s missing is that, there is usually no celebration. There’s no demarcation line to say, “Hey, we did it.” We typically rush to the next thing. The next big client. The next big project. We forget to take it all in, be grateful for the opportunity, and reap the rewards for a job well done. When we lack celebration of the milestones in our lives, at work, and even our relationships, there is no acknowledgement or validation of all the hard work and effort we put into something. When was the last time you celebrated a big milestone at work? An anniversary with your lover or even a long friendship? When we don’t celebrate, we take for granted everything that has happened. When we don’t celebrate, we feel that our work and effort goes unrecognized. We then carry this into our next project, or big goal. Close your eyes. Take a couple deep breaths. Think about everything you have to celebrate today, this week, this month. It’s time to appreciate you. It’s time to appreciate who you have become. It’s time to appreciate all that you have done. It’s time to appreciate all those who made it happen. As we end the first quarter of 2018, where have you made great strides? Where can you improve? 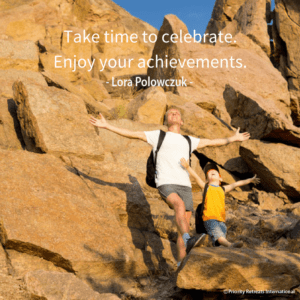 By taking time to celebrate your achievements, you enjoy life again. It’s time to share your accomplishments and enjoyment with others. This week, how can you celebrate and share your many accomplishments with your team, your family, your friends, and those closest to you? What do you want to become a champion in? The best parent? The best employee? A successful business owner? The best spouse ever? A best friend? A world changer? The amazing part is – you have the capacity to become one! Keep in mind, it doesn’t happen overnight. This past week, I have been in awe watching the Olympics. How did the U.S. Gold Medal snowboarder, Chloe Kim, perform a 1080? That’s three full rotations in the air? Simple. Chloe Kim dedicated time each and every day to make it happen. She surrounded herself with loving people who supported her journey. Chloe wasn’t afraid to go for it. She believed she could do it. Chloe Kim visualized how to correct a move if it was too over or under rotated. When was the last time you visualized or thought how to handle something if it didn’t go quite right? Maybe you wanted to approach your boss about a good idea. Did you consider all the possible scenarios? Of course you visualized the praise for acceptance of the idea. But, did you consider if only part of the idea would be accepted? Chloe developed the habits and routine to get her there. 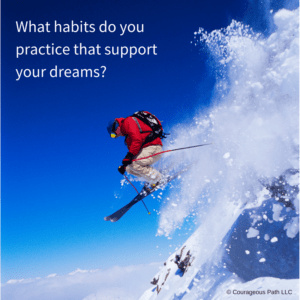 What habits support your journey to reach your dreams on a daily and weekly basis? I won’t lie. I don’t always enjoy going to the gym for intense workouts. Yet, it pays off when I climb higher in the mountains. Are you willing to get through the hard parts for the beautiful payoff? What habits will propel you forward? Sometimes it’s as easy as setting out your gym clothes the night before to get you to hit the gym in the morning.